Beni Suef is a natural gas-fired combined cycle power plant being built by Siemens, as a part of the Egypt Megaproject. Image: courtesy of Siemens S.A.E. The plant will be equipped with Siemens SGT5-8000H gas turbines. Image: courtesy of www.siemens.com/press. The installation of the first two gas turbines marked a milestone in the commissioning ceremony of the Beni Suef plant. Image: courtesy of Siemens S.A.E. 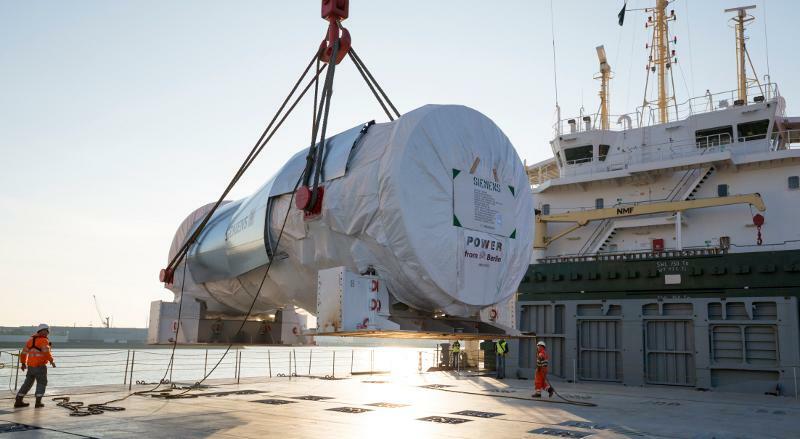 The first H-class turbine for Beni Suef power plant was shipped in March 2016. Image: courtesy of www.siemens.com/press. The Beni Suef power plant will feature a Siemens SGT5-8000H, which is considered to be the world’s most powerful gas turbine. Each turbine measures 12.6m-long, 5.5m-wide and 5.5m-high, has a base power output of 400MW, and operates at a speed of 3,000rpm. It is equipped with an enhanced sealing system to minimise loss of cooling air during operations. The first two gar turbines were placed on the site in May 2016. The Beni Suef power project is being funded by a consortium of 17 international banks under Hermes-covered export credit agency (ECA) loan arranged by Deutsche Bank, HSBC and KfW IPEX-Bank. The loan agreement for the project was signed in November 2015. Siemens is responsible for the engineering, procurement and construction services of the plant, under an agreement signed with the Government of Egypt in May 2014. The Elsewedy consortium, led by Siemens, signed a $2.2bn contract with the Government of Egypt for the construction of the plant in June 2015. "The plant will initially be operated in simple cycle mode, while heat exchangers and steam turbines will be gradually added." Elsewedy Electric is responsible for the engineering, procurement and installation of balance of plants, along with erection and installation of the Siemens turbines. The company also manages the site preparation, levelling, civil works and construction, as well as site utilities of the plant. Roward Modern Engineering played a vital role in all the civil works of the power blocks and architectural works for the plant’s utilities and facilities. The project also involves the installation of gas insulated switchgear substations, and the expansion of transmission networks in Egypt. The wind parks are expected to generate 2GW of energy and will generate first power in 2017. WEIDMANN invents electrical insulation for transformer manufacturers and companies operating transformers. Western Services Corporation (WSC) is a global simulation and services provider, specialising in the design, development, delivery, commissioning and training of safe and reliable operations of power generating assets.